The University of Maine at Presque Isle is committed to sharing information about our wind turbine with area residents, the people of Maine, and all others who want to know where a sustainable energy project can take them. 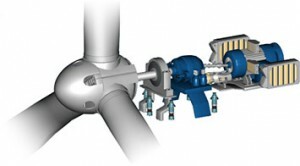 As part of that effort, the University has developed an in-house data reporting system that shows up-to-date information about the wind turbine’s power generation, including power generated over the last seven days, during the last month, and the total kWh produced since the turbine began spinning. Please note: This system is not currently functioning as the turbine is not delivering data to the server.